Tesla CEO Elon Musk highlighted on the Tesla shareholder call tonight that Tesla is the first non-Chinese automaker that has been permitted to build a wholly owned factory of its own in China. No doubt about it, Tesla knows the opportunity in China is enormous and is grateful for that. The following repost from EVANNEX puts that into more context. When Elon Musk was on hand for the launch of Tesla’s new Gigafactory in Shanghai, it was a groundbreaking occasion in more ways than one. The opportunity in China is enormous for Tesla. “China’s Association of Automobile Manufacturers (CAAM) reports that China sales of EVs grew 60% last year, reaching 1.26 million units,” reports Electronics Weekly. 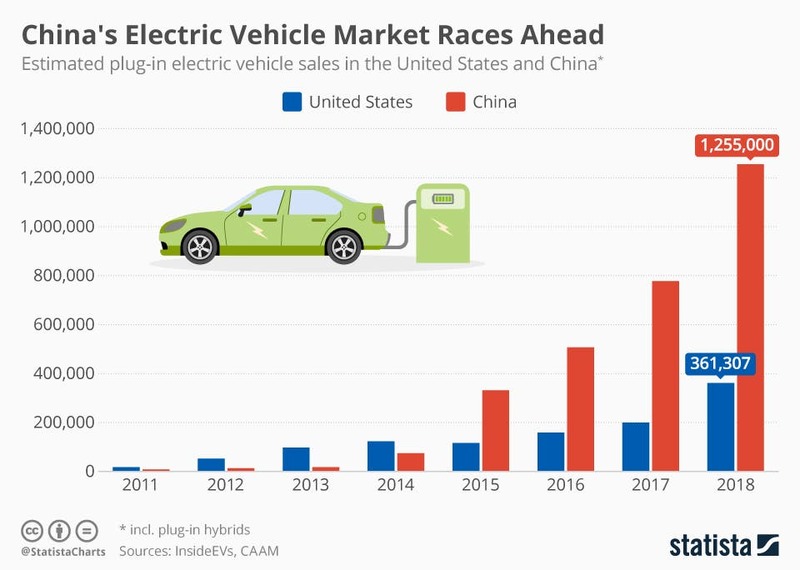 This means that China’s EV market is 3× bigger than the US EV market. In addition, Tesla has a unique head-start. Moss reports, “Tesla was the first foreign automaker to take advantage of a recent rule change allowing foreigners to own their China business, instead of having to work with Chinese partners as previously required.” That said, Tesla still needs to face off against local competition. Can China’s EV companies really stack up against Tesla? We’ll soon find out.